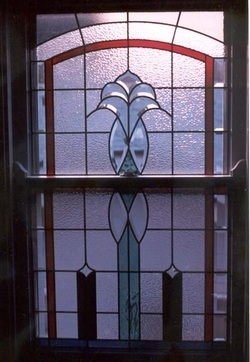 Renaissance Glass Studio established in 1987 by Sam Grillmeier has been a leader in the art glass movement for 26 years, striving for excellence in the construction of leaded glass windows for residential & commercial applications. Mr. Grillmeier was nominated and accepted as a Life Member of the National Registry of Who's Who of American Artists in 2001. Whether building a new home or remodeling a existing residence he can work with builders or architects to design and build art glass windows to your specifications.He also carries a full line glass supplies & tools for the hobbyist. Classes are available throughout the year, check the calendar page for dates & times and also art shows I will be at. Our gallery is full of unique blown, fused & torch worked glass that make ideal gifts for that special occasion. My studio is located in the Oak Creek suburb of Kettering the studio offers easy access From I-675 exit 7 Wilmington Pk./ Bellbrook travel (north) to Whipp Rd. (west) to Bigger Rd. (south) 1 block to 2222 Andrew Rd. Open Tues.-Thurs 11-6, Friday 11-5 & Sat 11-4 I will be closed on Saturday during 2019 Art Shows I am participating in.